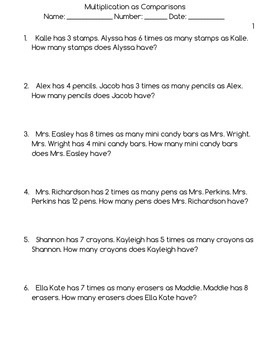 This is a collection of 24 word problems that provide practice in using multiplication as comparisons to solve. These can be used to practice making bar models to solve problems. There are 6 problems per page. You could use these in a whole group, small group, or individual instruction. These would make great partner work or even homework. 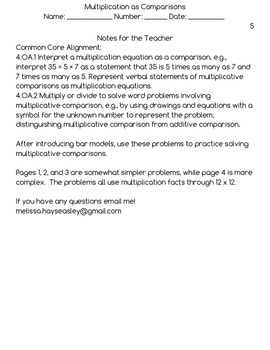 These problems use basic multiplication facts through 12 x 12.